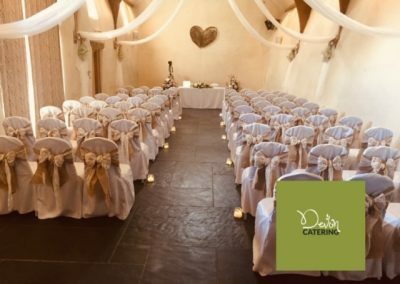 Victoria and Jamie had chosen to hold their wedding reception at The Oak Barn, Hittisleigh. 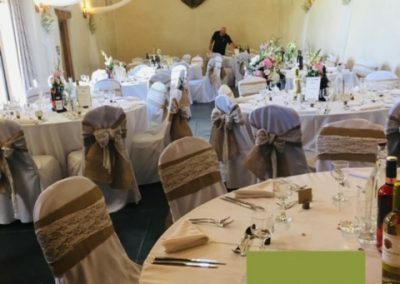 Situated just a few miles outside of Exeter and in the deep Devon countryside this is a stunning wedding venue. 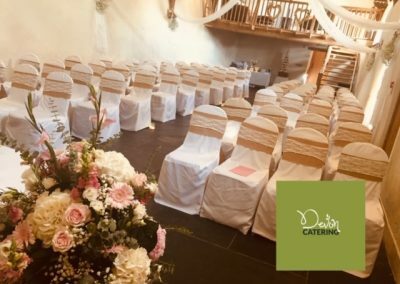 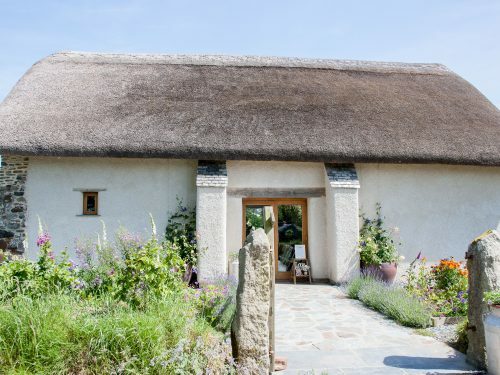 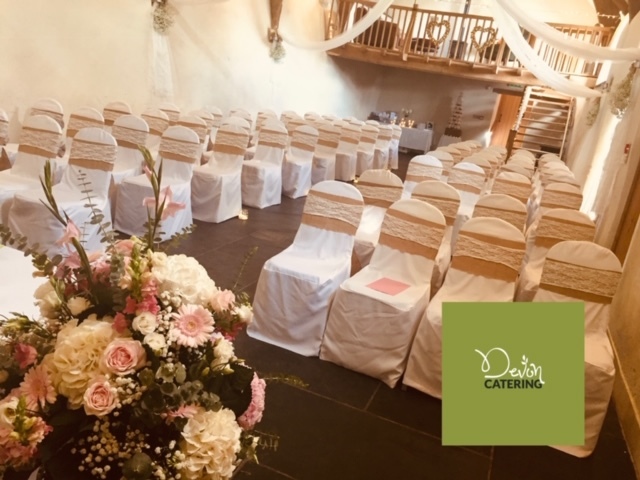 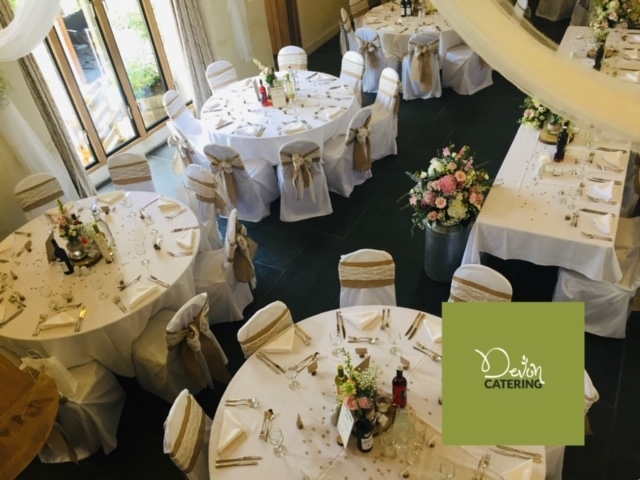 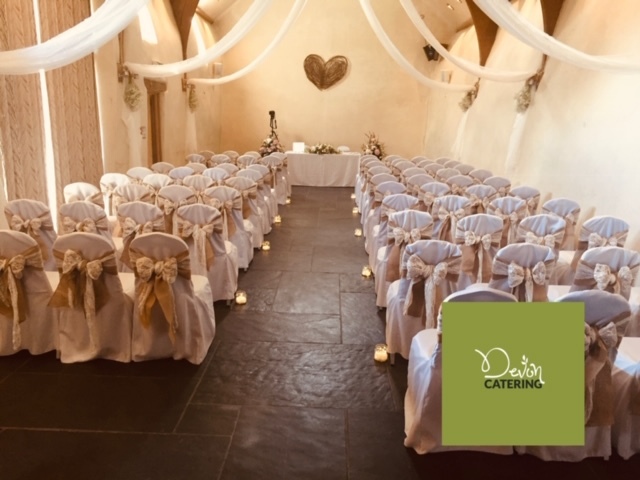 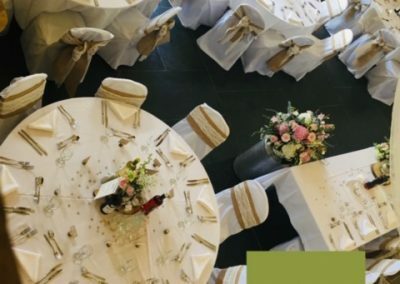 We have catered for weddings at The Oak Barn for several years and are recommended by the owners, no two weddings are ever the same and we created a bespoke option for Victoria and Jamie. 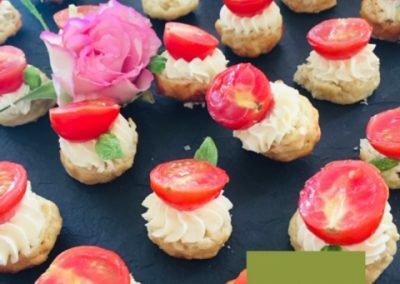 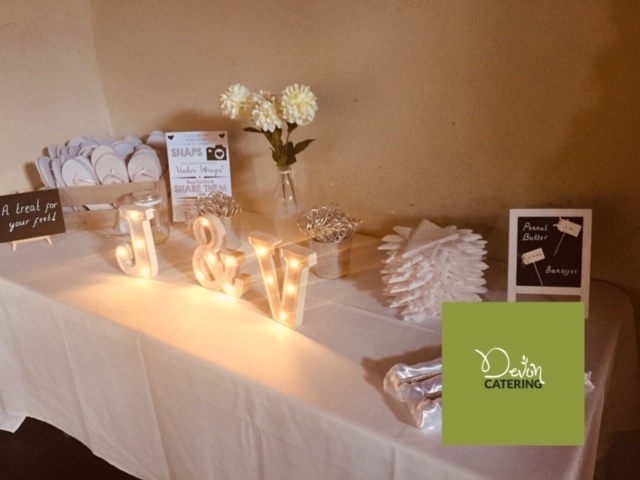 Victoria and Jamie chose an extensive range of options for their wedding catering, include Canapes upon arrival, a full service three course wedding breakfast and BBQ for evening guests. 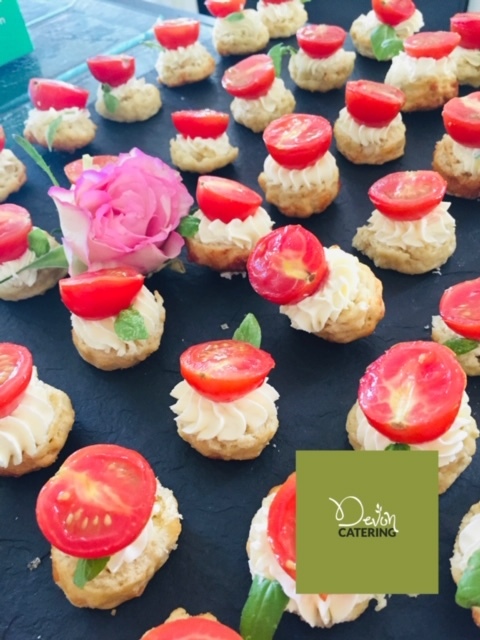 Upon arrival at The Oak Barn the guests were treated to a range of our hand-crafted canapes which included Handmade savoury mini scones topped with cherry tomato, soft cheese and decorated with fresh Greek basil, Olive oil crostini topped with coronation chicken and flat leaf parsley, Lime, coriander & ginger marinated chicken skewers. 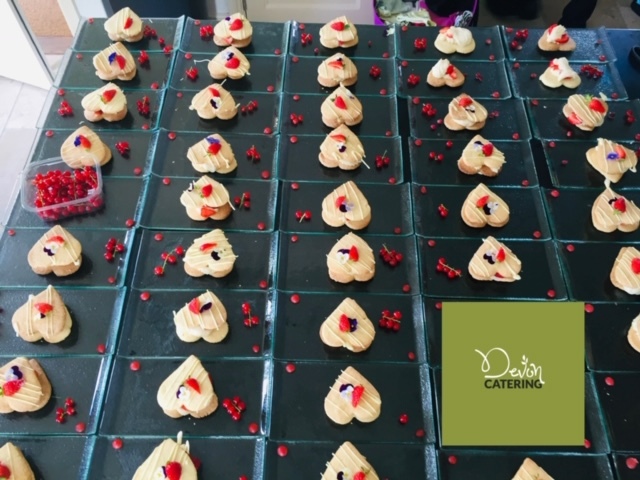 In addition, a selection of canapes from our Luxury options were also chosen. 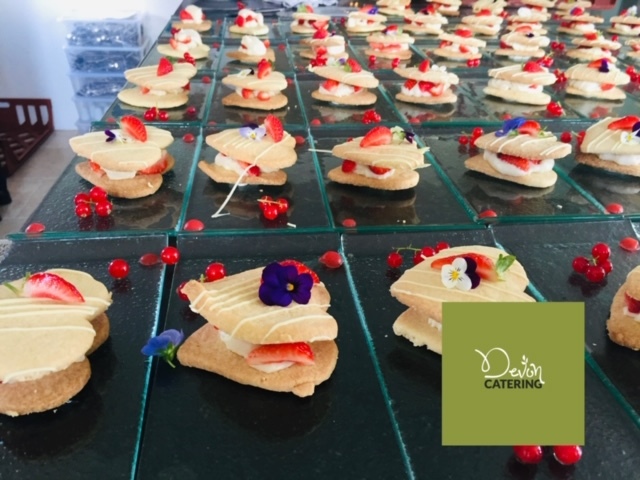 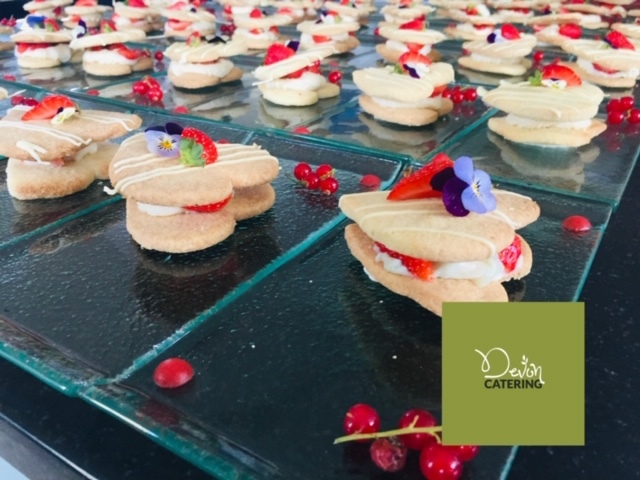 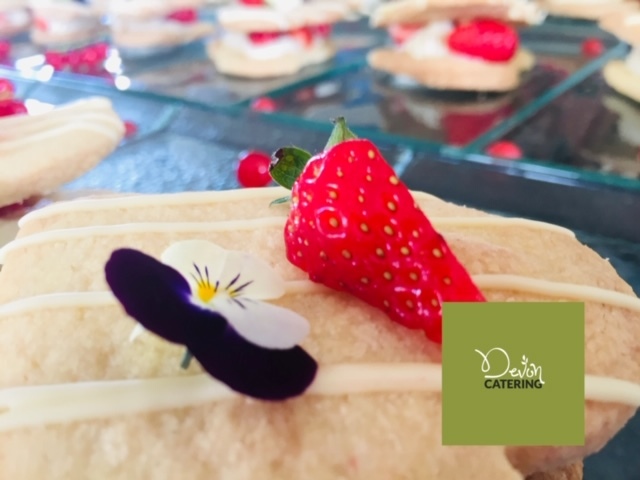 The wedding breakfast is often at the heart of most wedding receptions, as an experienced wedding caterer we worked with Victoria and Jamie to ensure all guests requirements were taken into consideration, including options for gluten free and something special for the children attending too. 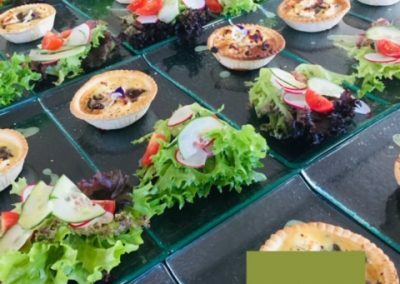 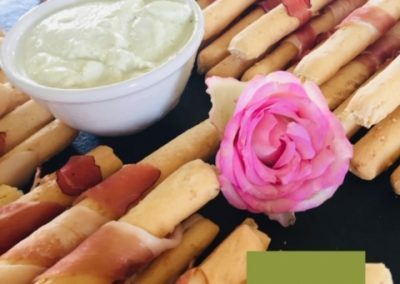 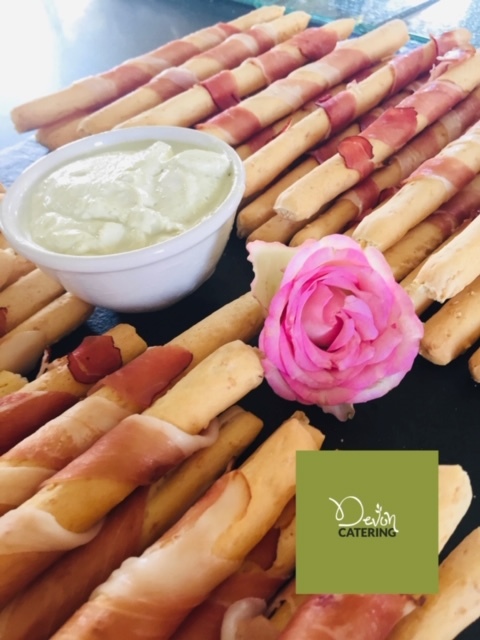 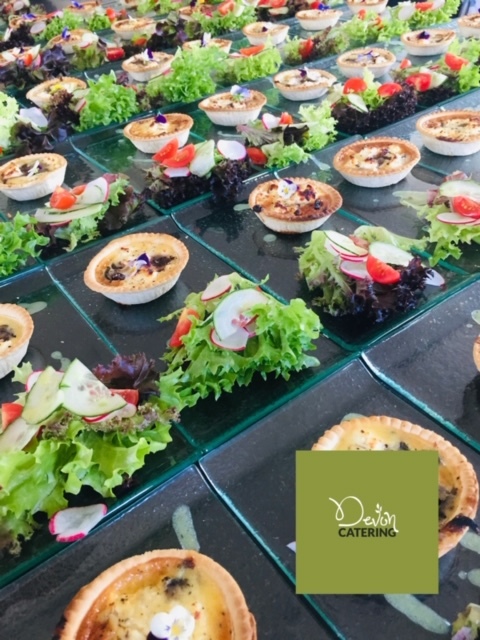 Starter comprised of an option of Caramelised red onion & goats cheese tartlet served on a fresh leaf bed sprinkled with radish, cucumber and drizzled with olive oil or a Devon Catering handmade Vegetable soup served with a range of fresh bread options. 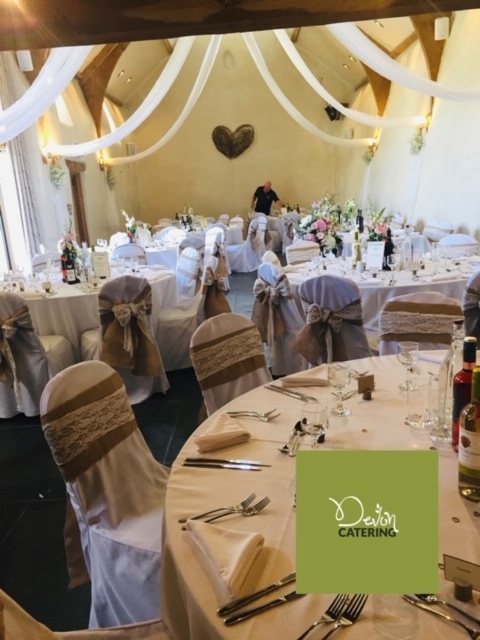 The main options chosen by the wedding couple were two of our most popular wedding options; Ballotine of Devon chicken filled with caramelised red onion and brie, served with a creamy white wine sauce, buttered new potato and a seasonal tied vegetable parcel. An additional option of Fresh cod served with a handmade parsley sauce and accompanied by a choice of potato and vegetable parcel tied with a courgette ribbon. 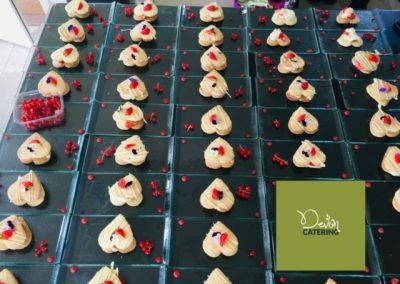 Dessert was our handcrafted all butter Heart shortbread hearts filled with piped crème patissiere and locally grown strawberries, finished with white chocolate and strawberry puree. 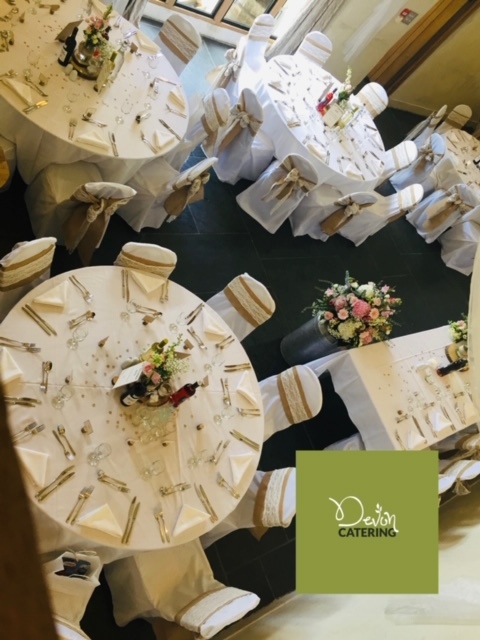 A selection of teas and freshly ground coffee completed the wedding breakfast. 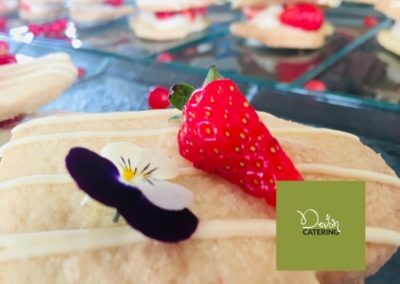 Evening guests were well catered for too and we took full advantage of the summer weather by providing an extensive BBQ, using the very best of locally sourced meats we included the favourites of Devon pork sausages and Prime mince beef burgers, served with fresh bakery rolls and selection of salads and accompaniments.